Use the torrent plugin to enable your users to download torrent contents directly into their account. It sits on top of Transmission or uTorrent which manages the actual downloading in the background. New Link for user to cancel downloading torrent. New Link for user to clear completed torrent. New Added peer information to users torrent download page. New tab on the file uploader popup with option to add torrent. Support for both .torrent files and magnet links. Progress shown to user on screen as torrent downloads. User can leave the site and come back at any stage to see progress. Once a torrent has downloaded, it's moved into the users account in a sub-folder named the same as the torrent. Option to allow just paid users access or free and paid users. User can cancel downloading torrent via their account. User can clear completed torrents via their account. Limitations of account max storage and max upload size apply to torrents. Peer information to users torrent download page. New Use Transmission instead of uTorrent as the torrent engine. New Limitations of account max storage and max upload size now apply to torrents. New Cron script changed to command line rather than wget to improve performance. Now choose between Transmission or uTorrent as your torrent engine. View list of downloading torrents including the account owner, percentage downloaded and speed up/down. Filter torrents by status/torrent name. Option to cancel pending torrent. View torrent details popup, including torrent contents. Torrent engine Host/IP, port, username and password. Option to show to only paid users. Set free & paid users max torrents per day. Set free & paid users max concurrent active torrents. Cron task to manage the synchronization between Transmission/uTorrent and YetiShare. Linux server (or vps) with root access. Transmission (http://www.transmissionbt.com/) or uTorrent (http://www.utorrent.com/downloads/linux) to handle the torrents. 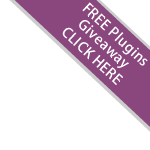 Important: This plugin is supplied for use with downloading legal content. As with all our scripts, it should not be used, or promoted for use, with downloading illegal or copyrighted content. You should make every effort to block users who illegally downloaded content and remove any offending files.